Culture change is the re-engineering of this decade. It’s not fluffy or mysterious. Changing culture is not about uprooting an organization’s existing DNA and personality. Culture building is a much better way to think about this process: It’s about creating alignment that connects people and performance, to growth and profitability. Clarity for how the organization can WIN, ignites people! When you apply a clear process and manage culture as a business capability in the right ways, it unleashes a wave of passion and engagement. Our Culture Builder Toolkit is a revolutionary approach to working with culture, where culture is treated as an evolutionary process, of connecting the dots from those performing on the front lines, to the realities and demands leaders face in a global, fast-paced business world. 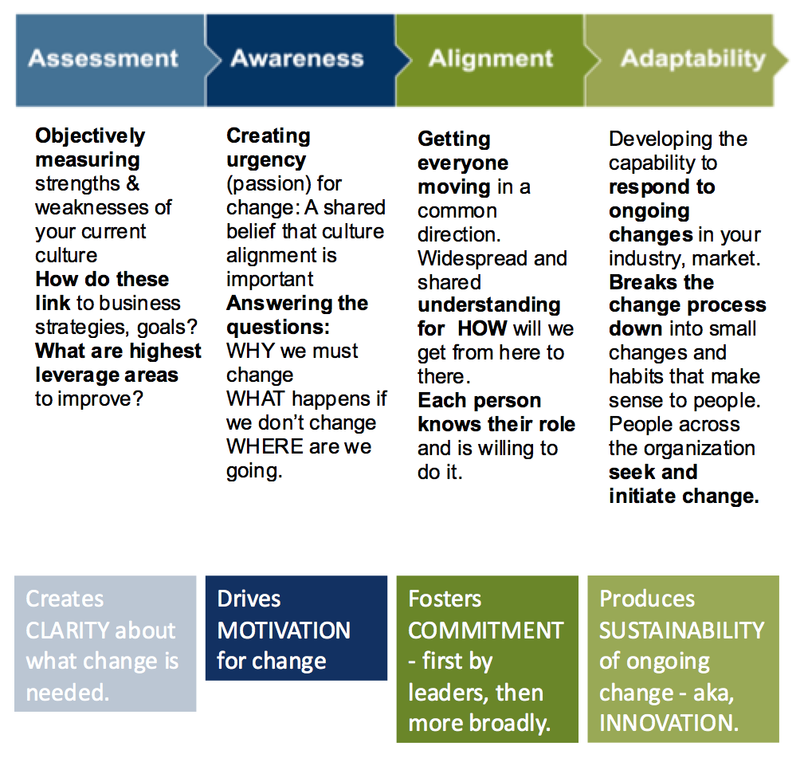 These 4 stages emerged as the most clear way to define and track cultural change and culture building with our clients. In each of the 4 stages, there are steps you must take to ensure that you are properly embedding the process in way that ensures sustainability. Recruit & Organize Change Leaders. You can get complete step-by-step how-to’s and instructions for implementing each of these steps in our Culture Builder Toolkit. Teach leaders how to navigate loss, stress, and create strong personal resiliency. With proper tools any leaders can improve the fundamentals of their workplace, starting immediately. 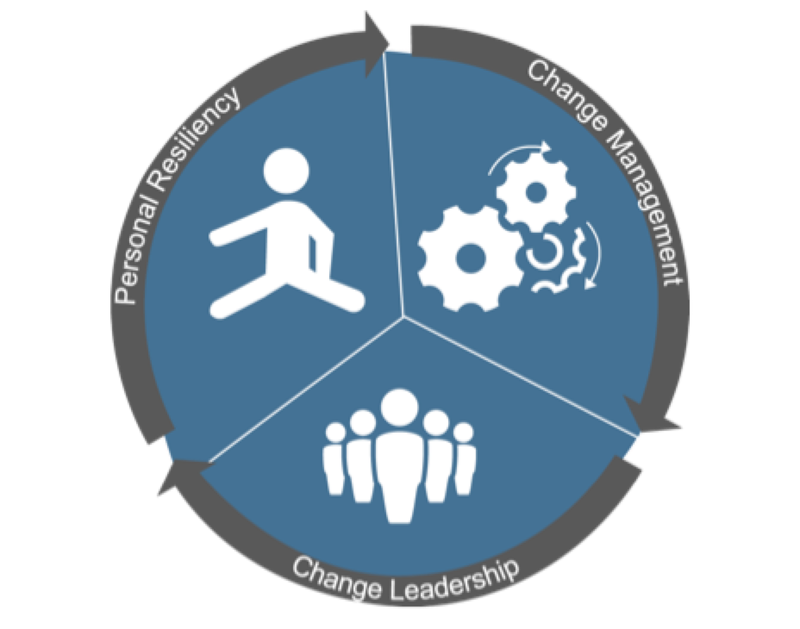 When you lead culture using these 4 stages and the 3 focus areas for the human element of change, it becomes a powerful conversation across the organization that directly impacts productivity, performance, and profitability.